Outside my bedroom window lives a beautiful owl in the tree. But this is no ordinary owl. This owl glows in the dark! Yes, you read that correctly. Insert gasp here! Do you enjoy reading to your little ones? Read them the story of the Glow in the Dark Owl! 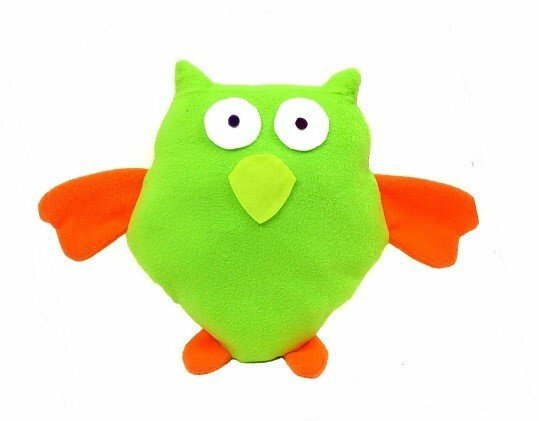 Then use the fun patterns to make your own customized plush owl. Pick your own fabric in their favorite colors to make your new pet owl come to life! You can even make it from glow in the dark fabric. The story makes it so much more fun and interactive! Great bedtime story too! - 1 PDF sewing pattern with instructions and pattern pieces to create a 12" owl. Instructions include step by step photos to help you create your new pet. - A printable copy of The Glow in the Dark Owl story.